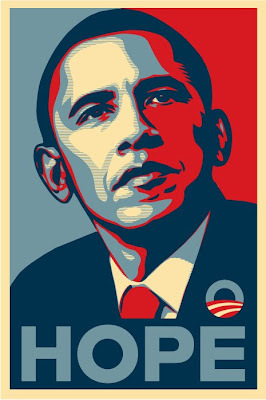 I was wondering how long this image could go, for the most part, unclaimed by the photographer as Shepard Fairey made such a name from it. Well it finally caught up to him, and I don't think its merited but I'm no judge. NEW YORK (AP) - An artist who created a famous image of Barack Obama before he became president sued The Associated Press on Monday, asking a judge to find that his use of an AP photo in creating the poster did not violate copyright law. The lawsuit filed in U.S. District Court in Manhattan said street artist Shepard Fairey did not violate the copyright of the April 2006 photograph because he dramatically changed the nature of the image. The AP has said it is owed credit and compensation for the artist's rendition of the picture, taken by Mannie Garcia on assignment for the AP at the National Press Club in Washington.